The University of Zurich (UZH), Switzerland, is ranked as a top 100 global university and has more than 28,000 students (1,900 doctoral candidates). 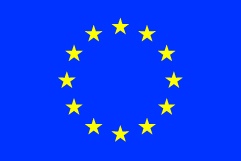 The university belongs to the League of European Research Universities (LERU) dedicated to high-profile basic research. The Vetsuisse Faculty consists of three departments and 13 institutes and is considered to be one of the top veterinary medicine facilities in Europe, with a particular focus on research into musculoskeletal diseases. The Musculoskeletal Research Unit (MSRU) focuses on orthopaedic pathologies (bone, cartilage and spine). It has significant experience in the development and use of large animal models for experimental surgery. As well as the relevant scientific background and interest, the MSRU also has the facilities and infrastructure to conduct animal experiments. It has modern, suitable operation rooms, full surgical equipment and animal stables, as well as the necessary recovery systems required for animals after surgery. Radiology and other modern diagnostic imaging technologies are available so that animals can be followed during their clinical recovery. UZH is leader of work package 5 and contributes delivery of in vivo assessment of the coating under three scenarios, and expertise on ethical aspects of the project.